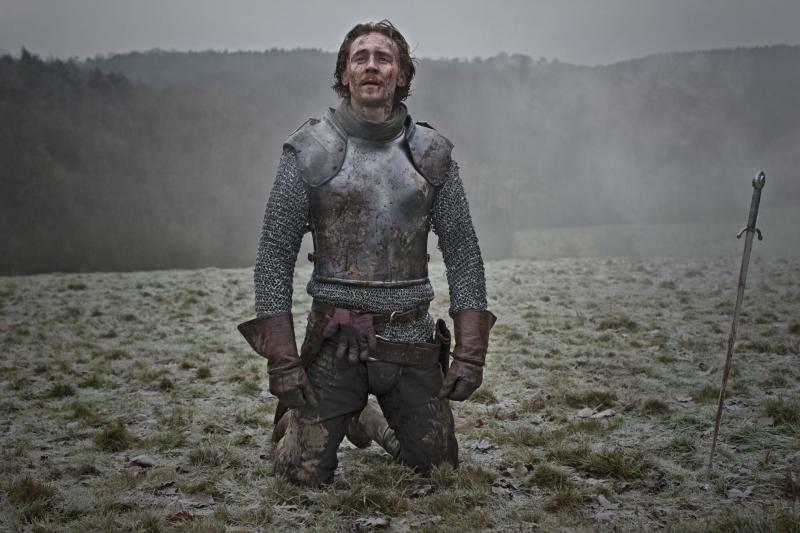 And my Shakespearean July comes to a conclusion with the momentous fourth installment of The Hollow Crown series: Henry V. Does this mean Summer of Shakespeare is ending as well? You should be so lucky. The Plot: Not long after his coronation, King Henry V (Tom Hiddleston) faces an uprising in France and a quarrel with his right to kingship. With England eagerly anticipating their new sovereign’s reign, and threatening once again to divide should he falter and fail their expectations, Henry must use this war to unify his subjects, and demonstrate to nobles and commoners alike that he has what it takes to command a nation. As the conclusion of the tetralogy, this play bears a lot of weight, needing to wrap up character arcs, resolve both internal and external conflicts, and stuff in as much violence as possible. Plus, since Shakespeare pulled a George Lucas and wrote these after he wrote the chronologically ensuing tetralogy, he needs to set up for a continuation. Yes, Shakespeare’s totally setting up for a sequel. 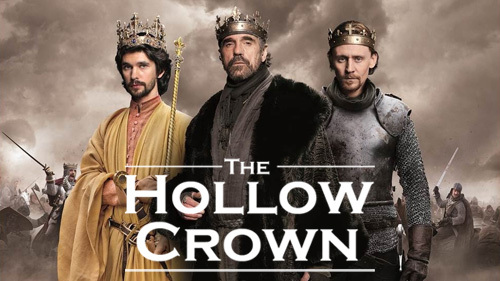 Incidentally, The Hollow Crown ends the same way, but I don’t think there are any plans to develop Henry VI and Richard III, which is a royal shame, pun intended. So, with characters arcs, conflict resolution, violence, and sequel prep on the mind, Shakespeare writes a pretty strong conclusion, albeit with a slightly boring fifth act. The big question for this BBC production, then, is whether or not it achieves the same things. This article might have more Tom Hiddleston than usual. Tom Hiddleston does an excellent job concluding Hal’s arc. I think his performance is perhaps a bit more layered in Henry IV, but he had more to work with then, to be honest. The gravity of this play lies mostly in its numerous inspirational speeches. Henry delivers many, including the famous “Once more into the breach,” and the very well-known St. Crispin’s Day speech. Hiddleston delivers these speeches with energy, conviction, and heroism. That’s all well and good, but what’s arguably more important is his understated and personable performance as a king who relates to the soldiers in his army as well as he does the nobles. Henry V tactically treats his men as men, not as children or slaves, not as cannon fodder or pawns, but as fully-defined humans with their own emotions, histories, and ambitions. A lesser actor may have embodied this halfheartedly to demonstrate Henry’s determination to win respect. Hiddleston captures this obvious motive, but also shows some genuine empathy. This Henry cares about his men more than he does himself. Once you place this within the context of Henry IV, you realize that he has been this way all along. But it’s equally important to consider Richard II. Though that chapter feels somewhat disjointed from the others, it’s vital to contrast Hal’s treatment of the crown to his father’s or to Richard’s. He views the kingship as a responsibility and not an achievement, and that’s why he succeeds where his predecessors failed. Shakespeare doesn’t ignore all of the other characters from Henry IV, though (except Poins). Although Falstaff (spoiler) dies unceremoniously offstage, his presence is felt in the Bardolph, Pistol, and Nim, who join Henry’s army in France. Henry has few direct interactions with them, but those he does have are important, allowing him to finally bid farewell to his wayward past, and to Falstaff. Director Thea Sharrock opts also to include a heavy, albeit mostly nonspeaking presence in Falstaff’s young page, accompanying Falstaff’s old entourage to war. This addition helps establish a stronger connection between the plays. This is one of those plays in which Shakespeare employs a Chorus to keep the audience up to speed when a lot of action takes place over a short period of time. So, when an entire army crosses the English Channel, the Chorus comes on and says, “Yo, a whole bunch of people just got on a boat. We’re in France now, FYI” (Henry V III.i.12-13). Sharrock chooses to keep the Chorus, but because this is a film, she’s also able to show us exactly what the Chorus is talking about, essentially rendering that role a superfluous voiceover. This would be more problematic if the Chorus was not played by John Hurt, and if in the final scene of the movie Sharrock didn’t do something really clever with him and another character. The violence is good. Sharrock manages to capture the rage of war and confusion of battle without an actual battalion of extras at her disposal, and without relying too heavily on shaky cam. She manages to keep the focus on the characters, even when she is showing faceless soldiers killing each other without any recognizable figures around. Her attention to the untamed masses in the battle sequences mirror Henry’s own preoccupation with the lives of his men. Since screen time is split about evenly between Henry and everyone else in these scenes, the audience gets the impression that every man on the field is of equal importance. This functions as a pleasant reiteration of Henry’s major concerns. There’s no real context for this one. Someone just thought he’d look good with a bow. They were right. 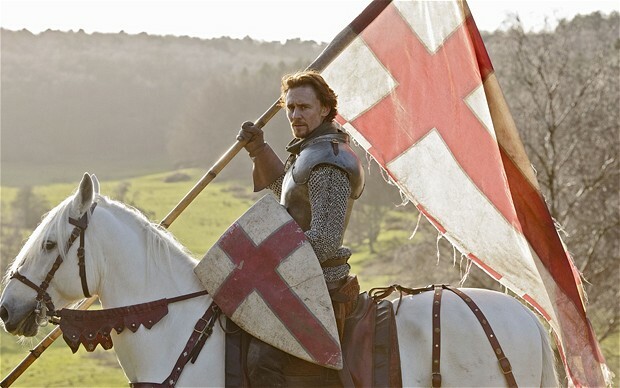 Overall, I quite enjoyed The Hollow Crown, in case nothing I said in the last four articles gave that away. It’s not without its flaws, but it’s so nice to finally have a well-developed, expertly-acted adaptation of these four plays. As I’ve mentioned before, I feel like there aren’t that many good Shakespeare movies out there, at least not proportionally, and the histories are woefully underrepresented. Now I just have to keep my fingers crossed for a solid adaptation of the next tetralogy. That’d be dope.